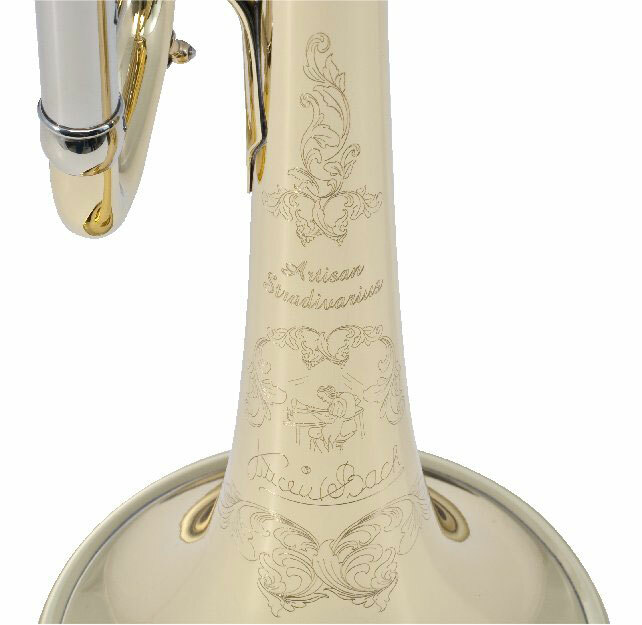 There have a few different brands of Vincent Bach brass instruments through the years. This list tries to capture various descriptions and information about the various Bach instrument brands. from 1925 Vincent Bach Corporation catalog. A solidly built trumpet, perfect in tune, with excellent intonation and a marvelous valve action. This instrument fills all the requirements for orchestra and band work. 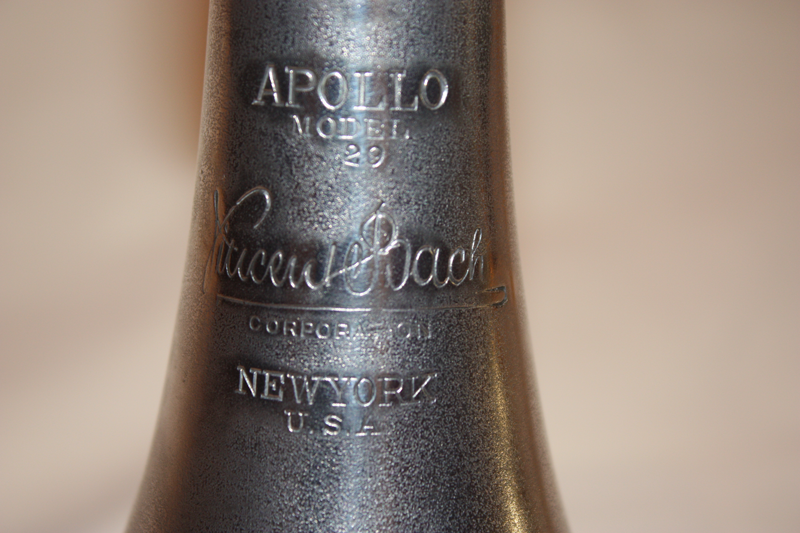 The “Apollo” Model Bach Trumpet needs but little effort to play upon as it is a scientifically constructed instrument. This trumpet is built all in brass, has nickel-silver pistons and is equipped with a two piece bell made of special brass, treated according to a secret formula. The tone is of a beautiful ringing quality, of a great carrying power and responds readily to a crescendo or decrescendo. The ‘Apollo Model” has a splendid appearance and is the highest grade “medium priced” instrument on the market, with quick change attachment to draw-out to A. One genuine Bach Mouthpiece furnished with this instrument. Quick change to A slide with rotary valve quoted extra. In playing perfection these instruments meet the demands of the most discriminating artists, yet the price is considerably below that which one might expect to pay for such a well-designed and carefully fitted instrument. They are made in the most popular bore, have sufficient volume of tone for a large symphony orchestra, yet they are so easy-blowing that dance, vaudeville and other musicians who work long hours find them an immeasurable aid to endurance. Mercedes instruments were created to make Vincent Bach’s acoustic designs available at prices within a students limited means.We do this without making any compromises in their musical quality: intonation, resistance and timbre meet the high standards that are a Bach tradition. Instead, we make them available at moderate prices by using machines instead of handwork on some of their construction details, or by using materials, components, and assembly methods more conventional than in costlier Bach Stradivarius models.There are a number of other minor structural differences; these are tabulated for direct comparison below. Together they account for the differences in price. But do they also account for a difference in performance? Well, Bach Stradivarius brasses are unique; that is why they are virtually standard equipment among professional artists. Any student that has progressed to the point where we can hear, feel, and take advantage of their unique qualities will be happy to pay the premium price for a Strad. On the other hand, Mercedes models give their owners all but the ultimate refinements of the finest brass instruments ever made, at significantly lower prices. The easiest playing instrument in the world. It is built on the principle: “The Best for the Lowest Price”. Expensive workmanship not absolutely necessary to make the instrument play light and in tune has been eliminated but important points such as the graduation of the inside bore, the selection and quality of materials, receive the most careful attention. Most low priced instruments are unscientifically constructed and badly out of tune. The Mercury Model is excellent in tune, lightly built and a player with weak lips will have to use but little effort to play on it. Furnished with quick change to draw pout to A. Equipped with a Mercury Model Mouthpiece. The ideal model for the young artist or advanced student who wishes to economize, but must have an instrument of excellent playing qualities. Never before have solo instruments of such remarkable playing qualities and sturdy construction been offered at a similar price. Ask your dealer for further details or write for a price list. Looking for an example description. 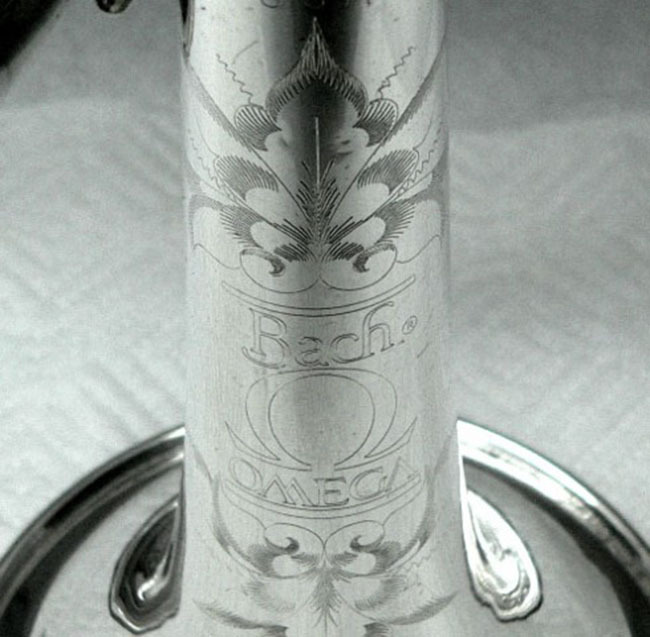 The Bach Omega trumpet model is available in silver or lacquer and has the Stradivarius valve block and is combined with economical tubing and bell. An instrument for the Virtuoso, Symphony and Opera Artist and All Players Whose Positions Demand the Best. 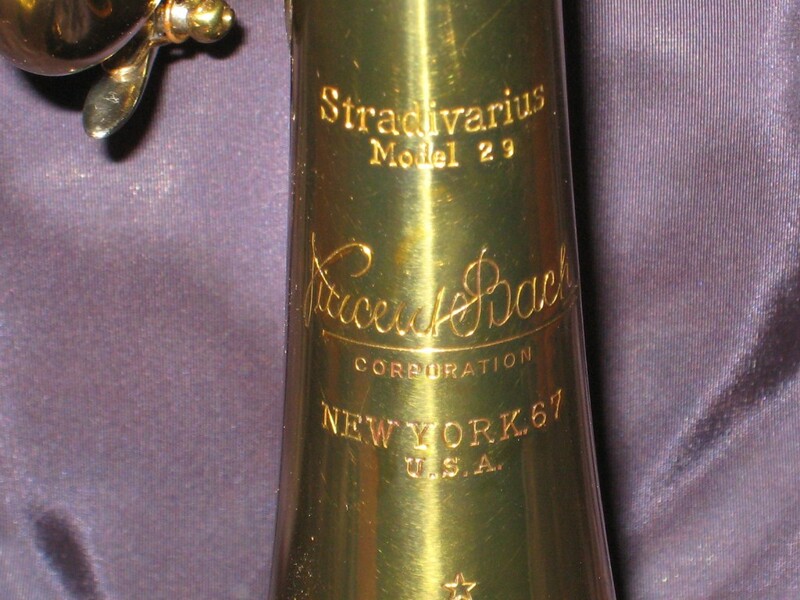 Among brass instruments the “Stradivarius Model” Bach Trumpet occupies the same supreme position as the genuine Stradivarius Violin among string instruments. Both are masterpieces, the perfection of which is beyond dispute. The Bach Trumpet is a Patrician among instruments; absolutely precise in each mechanical detail, made in exact accordance with established acoustical principles and combining every improved feature that human skill and ingenuity have conceived as applicable to trumpet building. Although beautiful in appearance, it is no designed to intrigue the eye of the purchaser, our efforts having been conscientiously concentrated on producing the best playing and most substantial instrument in the world. The bell of the Stradivarius Model Bach Trumpet is made of one piece, hand-hammered and of a special brass made and treated according to a secret formula. 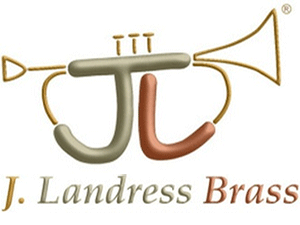 from 2012 BachBrass.com product launch. No other brand evokes more passion, loyalty, and respect than Bach Stradivarius. Exceptional tonal color, balanced response, and superb projection are the hallmarks of designs by Vincent Bach. Carrying on the legacy and true to the vision of the master craftsman, the makers of todays Bach Stradivarius proudly introduce the Artisan Collection. Skillfully handcrafted, Artisan culminates in a unique blend of classic design, elegant styling, and the signature Bach sound. Whether a passionate enthusiast or performing artist, experience The Artisan Collection and discover the Artisan within. I recently had the opportunity to receive a Bach ‘Laverne’ model Bb. I can’t find any information on this model. Can you help? Not aware of this Laverne model. Will keep looking… Any photos you could share @ bachloyalist@yahoo.com? I have a Bach Minerva, but the leadpipe does not let my mouthpiece go in all the way. Does it need a special length mouthpiece? 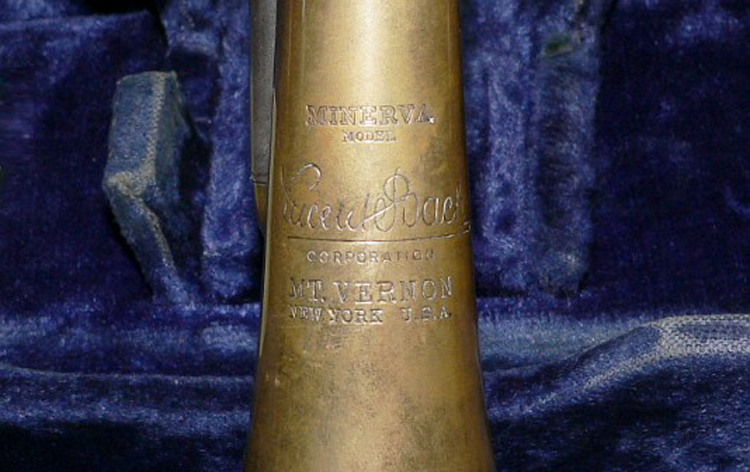 I have a Bach Minerva, but the leadpipe will not accept my trumpet mouthpiece more than a small insertion. Does it need a different kind of mouthpiece?